I’ve just discovered this little gem of a place in Sherwood Park called Inspirations. The gift shop proceeds are 100 % donated to charity and their selection is wonderful for …well, inspirational gifts. I was asked to perform there this afternoon and the shop has a lovely little stage and new sound system. 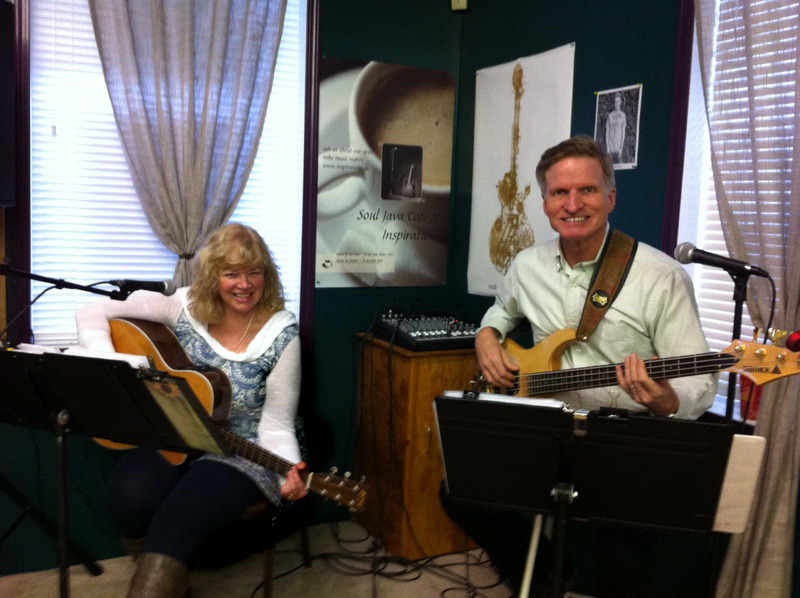 So my husband and bass player, Terry, and I set up and played my originals from WAITING and HOPE IS for a couple of hours . It was so cozy in the room , coffees and hot chocolates at the ready and a nice selection of sweets to choose from while you escape the snow and fall into the music. Looking forward to playing there again with my friend, Jim, on Dec. 13th while Terry has his book signing for ” Ordinary Guy – Extraordinary Marriage ” . I hope you can join us !